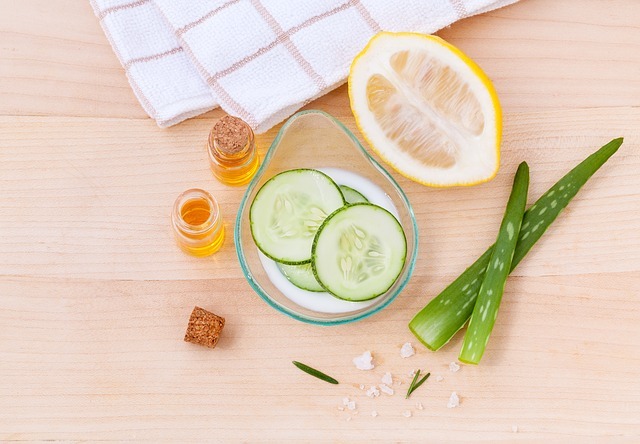 Share the post "5 Effective Skincare Solutions from Your Kitchen"
It is easy to be swayed by the countless beauty products on the aisles making alluring promises and boasting of seemingly sophisticated ingredients, but the truth is some of the best beauty secrets are already sitting on your kitchen counter or are a frequent addition to your grocery list. 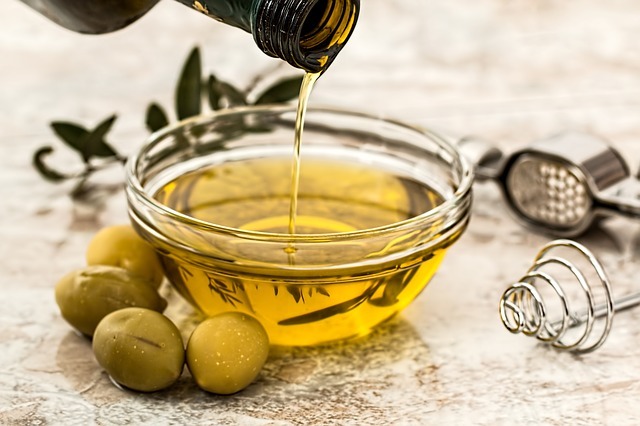 Take for instance the surprisingly simple, wallet friendly and extremely effective solutions to some common skincare concerns that we have listed below. Try them and you will never turn towards the beauty aisle again! Place a slice of cucumber or potato over each eye, keep them on for 10-15 minutes and wash your face with cold water. Both cucumber and potato are very efficient in reducing puffiness and refreshing the skin around your eyes. Another efficient method is to steep two green tea bags in hot water and then allow them to cool. Place them on your eyes for 10-15 minutes followed by a cold water cleanse. Do this regularly and you will be surprised to see your dark circles vanish. This three ingredient, DIY face- pack is loaded with anti-oxidants and vitamins A, P, E and K making it one of the best solutions for dry skin. In addition, it keeps the skin healthy and wrinkly free. All you have to do is blend together ¼ Avocado, 3 tbs fresh cream and 1 tbs honey into paste, apply it on your face and neck and let it stay for half an hour. Rinse off with warm water and fall in love with your dewy, gorgeous skin. Aloe Vera is another vitamin packed solution that is nourishing and has anti aging properties. Take some Aloe Vera, a pinch of turmeric, a tsp of milk, a few drops of rose water and a tsp of honey and blend into a paste. Apply it and leave it on for 20 minutes for nourished, lovely skin. Fresh tomatoes are great for the oily areas of your face and the high content of vitamin C is very helpful to fight acne. Simply rub a little tomato juice on your face and rinse it off immediately. Additionally, substitute your astringent with lemon juice mixed in equal parts of water to restore your skins pH balance and to lighten skin discolorations. Getting rid of calloused feet is as simple as soaking your feet in warm water. Just add ½ cup baking soda to every gallon of water in a shallow tub and sit back and relax as you soak your feet for 30 mins or so. Baking soda is a natural exfoliator and works well even on hardened skin. Rinse away the baking soda and scrub your feet with a pumice stone. For a final touch, apply moisturizer to towel dried feet for the spa effect. Pamper yourself with a luxury hand mask that helps to remove dead cells while hydrating your hands and making your nails stronger. The cinnamon in the recipe acts as microdermabrasion; exfoliating and improving circulation, while the milk and olive oil make your nails stronger and skin softer. Mix together 2 cups water, 1 cup milk, 1 tbs. of olive oil and ½ tsp of ground cinnamon. Microwave the concoction for 30 seconds and soak your hands in the warms mixture for about 10 minutes. Rinse and pat dry before applying your favorite hand cream or moisturizer. We have hand picked a few of our favorite all natural beauty fixes for this post and we have only scratched the surface. As it happens, your kitchen cabinet holds the answers to almost all of your beauty problems. So if your concern isn’t listed here, feel free drop us a comment below and we will help you find a solution.